If you or your friends are deep into your brews, you’ve probably heard someone wax ecstatic about a geisha coffee. So what’s the deal with geishas? First, the basics. 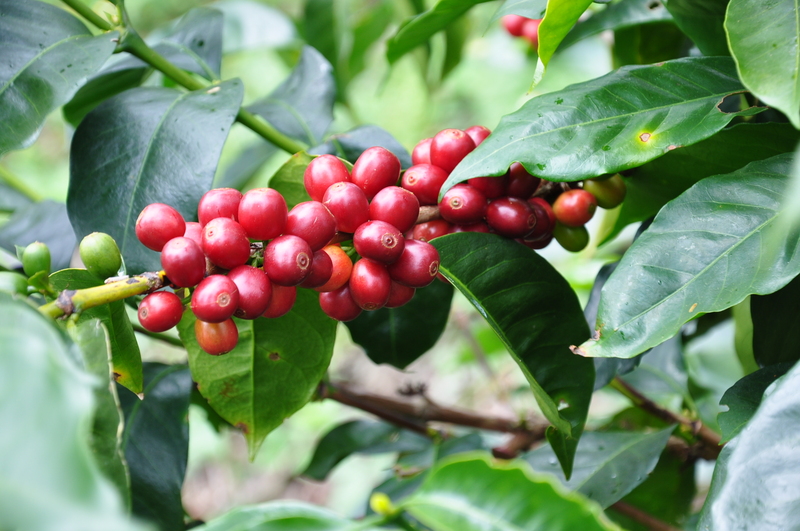 Coffee is a fruit that grows on a tree, and just like there are different varieties of apple trees, there are different varieties of coffee trees. Geisha, a variety originating in Ethiopia and transplanted to Central America in the 1960s, is perhaps the rarest and most sought-after strain in specialty coffee today. When a spore commonly called “coffee rust” wiped out many of Panama’s coffee trees about 10 years ago, farm owner Price Peterson noticed that a few lots of small trees had survived. These trees were geisha variety. Faced with ongoing coffee rust, Peterson decided to plant his farm, Hacienda La Esmeralda, entirely with geisha trees. The rest is coffee industry history. When they tasted the coffee from the geisha trees, it blew everyone away. It was like a cross with tea, showing floral and citrus notes that no one had ever tasted in a coffee. At a time when really good coffee was going for $8 or $9 per pound, the geisha went to auction and sold for $127 per pound. Nope, that’s not a typo. That’s a geisha. The success of this variety is a testament to the fact that coffee is still evolving – and we have so much more to discover about this amazing plant. Right now we have 2 geishas: the Jaramillo, and our newest brew, the Ironman. If you’re ready to find out what this variety is all about, both of these will knock your socks off. Does it help that you have the PHS here in Philadelpia? So, is specialty coffee somewhat about discovering new varieties of plants that produce coffee beans, like the hybrid exhibit ANS had about 10 years ago. Are you ‘mixing’ plants? Hi, thanks for your question! We don’t work with PHS, but hybridity is very important to the future of coffee. We work with farmers in Haiti to find and cultivate varieties that grow efficiently in their microclimates, and other farmers in Central America are using hybrid plants to help battle Coffee Rust Disease. Todd, will you ever go back to Doi Chaang in Thailand?